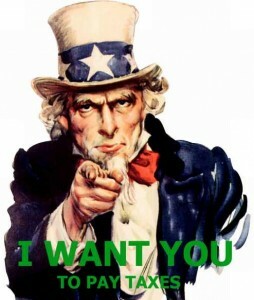 Swiss Banks “Wanted” With or Without Co-Operation! On Tuesday, June 18, 2013, we posted DOJ Requests Identification of US Depositors in Bank Weglin - Time To Come Clean? where we discussed that the US Department of Justice has submitted another administrative assistance request to the Swiss authorities, this one demanding the identification of American clients of the private bank Wegelin who were beneficiaries of asset management companies between 2002 and 2012. Two weeks previous to this Bank Wegelin Request, the private bank Julius Baer was also notified that it was subject of a similar request by Washington. 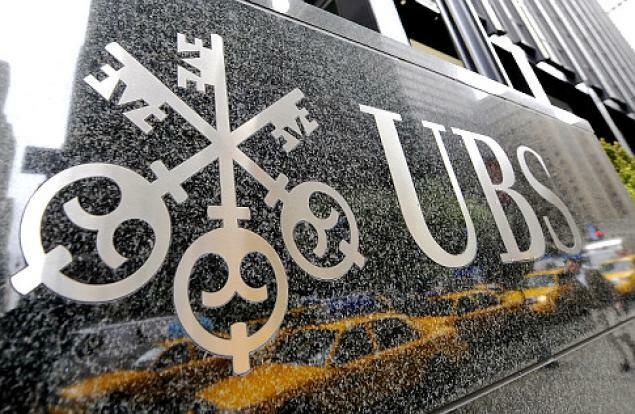 U.S. authorities have more than a dozen banks under formal investigation, including Credit Suisse, Julius Baer, the Swiss Branch of HSBC, Pictet and local government-backed Zuercher Kantonalbank and Basler Kantonalbank. 123 to 63 against debating a draft law which is aimed to protect the country's banks from criminal charges in the United States for helping wealthy Americans evade tax, effectively killing the law, even though the upper house had confirmed its support earlier that day. The Swiss government has warned that the bill's failure could prompt impatient U.S. prosecutors to indict banks, though it could still use an executive order to allow them to hand over data to try to avoid criminal charges. "Switzerland must not take the risk of a further indictment of a bank lightly," the Swiss Bankers Association said in a statement. 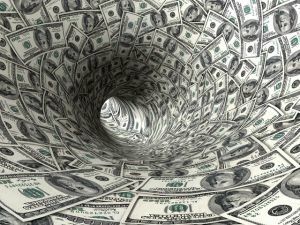 “Quite Disclosure” Caught – DOJ Files To Collect 50% FBAR Penalty! We first posted that on Wednesday, June 5, 2013 IRS Cracks Down on "Quiet Disclosures" which discussed that the IRS is cracking down on so-called soft or "Quiet Disclosures." According to a recent the U.S. Government Accountability Office (GAO) report, more than 10,000 taxpayers showed signs of having avoided offshore penalties by making “Quiet Disclosures” of foreign bank accounts for tax years 2003 through 2008, a period for which the IRS has detected several hundred quiet disclosures. "The IRS is reviewing amended returns and could select any amended return for examination. The IRS has identified, and will continue to identify, amended tax returns reporting increases in income. The IRS will closely review these returns to determine whether enforcement action is appropriate. If a return is selected for examination, the 27.5 percent offshore penalty would not be available. When criminal behavior is evident and the disclosure does not meet the requirements of a voluntary disclosure under IRM 9.5.11.9, the IRS may recommend criminal prosecution to the Department of Justice." However, many have been wondering whether the IRS will pursue examinations of "Quiet Disclosures" of taxpayers residing in the United States in some manner. Now these Taxpayer's have their answer: on June 11, 2013, the U.S. government filed a Complaint to collect multiple civil FBAR penalties in the amount of $3,488,609.33 previously assessed against Carl R. Zwerner of Coral Gables, Florida for his alleged failure to timely report his financial interest in a foreign bank account, as required by 31 U.S.C. § 5314 and its implementing regulations. See United States v. Carl R. Zwerner, Case # 1:13-cv-22082-CMA (SD Florida, June 11, 2013). 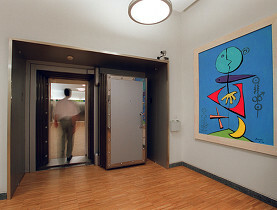 interest in an account at ABN AMRO Bank in Switzerland (hereinafter, “the Swiss bank account”). The Complaint alleges that the balance of the Swiss bank account from 2004-2007 was at all times greater than $10,000 and that, as such, on or before June 30, 2005, 2006, 2007, and 2008, Mr. Zwerner was required to file an FBAR reporting his financial interest in the Swiss bank account for each year from 2004, 2005, 2006, and 2007, respectively. However, the Complaint also asserts that prior to October 2008, Mr. Zwerner had never reported his financial interest in the Swiss bank account on an FBAR, nor had he reported income he earned from that account on his federal income tax returns. The Complaint in Zwerner further alleges that on or about October 13, 2008, Mr. Zwerner filed a delinquent FBAR reporting his financial interest in the Swiss bank account during 2007, along with an amended income tax return for 2007; on or about March 27, 2009, Mr. Zwerner filed amended income tax returns and delinquent FBARs for 2004, 2005, and 2006. The basis of the Complaint is that Mr. Zwerner’s alleged failure to timely report his financial interest in the Swiss bank account for 2004-2007 was willful. Apparently, Mr. Zwerner did not hold the Swiss bank account in his own name. The Complaint alleges that from 2004 to 2006 he held the account in the name of any entity called the Bond Foundation and that, in January 2007, he transferred the account to an entity called the Livella Foundation. However, the Complaint asserts that at all times, however, Mr. Zwerner was the beneficial owner of the account. The government carries the burden of proving willfulness into the courtroom. Taxpayers should carefully review the recent court decisions in United States v. Williams, No. 10-2230 (4th Cir. 2012) and United States v. McBride, No. 2:09-cv-00378 (D. Utah 2012) on the issue of determining “willfulness” for assertion of the more significant “willful” FBAR penalties (of up to 50% of the account balance, per year). Although the underlying facts in each case were not the best, the courts might not lightly view those with considerable financial resources who fail to inquire about their potential reporting requirements associated with various interests in foreign financial accounts. The Internal Revenue Manual suggests that “willfulness may be attributed to a person who has made a conscious effort to avoid learning about the FBAR reporting and recordkeeping requirements.” However, the willfulness determination should be based on the actual facts and the context in which statements are made (or not) rather than assertions in a legal pleading. The Excessive Fines Clause of the Eighth Amendment and relevant Supreme Court case law support a conclusion to the effect that a civil penalty or forfeiture is unconstitutional if the penalty or forfeiture is at least in part “punishment” and such punishment is grossly disproportionate to the conduct which the penalty is designed to punish. The touchstone of the constitutional inquiry under the Excessive Fines Clause is the principle of proportionality – the amount of the penalty must bear some relationship to the gravity of the offense that it is designed to punish. 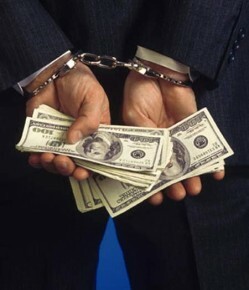 DOJ Requests Identification of US Depositors in Bank Weglin – Time To Come Clean? The US Department of Justice has submitted another administrative assistance request to the Swiss authorities, this one demanding the identification of American clients of the private bank Wegelin who were beneficiaries of asset management companies between 2002 and 2012. The United States tax authorities have filed a request for legal assistance to identify former American clients of the private bank Wegelin who are suspected of tax dodging. It is the fourth such request against a Swiss financial institute. 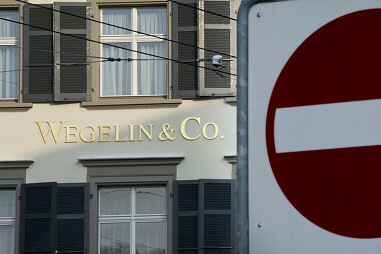 Wegelin, which announced at the beginning of this year it would close its doors, on Friday confirmed reports that it had received notification by Switzerland’s Federal Tax Authorities to comply with the US request, based on a 1996 double taxation agreement. A bank official added that Wegelin would submit the necessary information. It is the fourth such demand against Swiss banks. The country’s two main banks, UBS and Credit Suisse, have also faced requests against a particular group of clients over the past few years. Two weeks ago, the private bank Julius Baer was also notified that it was subject of a similar request by Washington. The US government agency for tax collection and tax law enforcement has been the driving force behind the legal enquiries, while the US justice department has now taken over the settlement with Swiss banks suspected of violating US law. Assessments against business taxpayers that have not filed required tax returns have soared by nearly 60 percent according to the Treasury Inspector General for Tax Administration's (TIGTA) report dated September 17, 2012. However, the Internal Revenue Service needs to improve internal controls to ensure staff follow the correct procedures in documenting the reasons for these assessments, according to this report. The report found that in 10 percent of the cases, taxpayers were not provided a full 30 days to respond to proposed assessments prepared for them by IRS before the returns were processed as Collection Field function assessments under tax code Section 6020(b). This is a potential violation of taxpayers' rights. 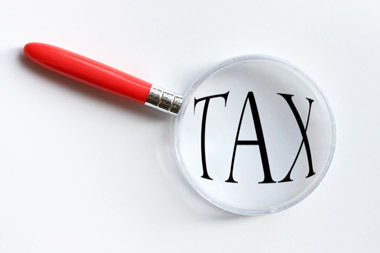 TIGTA also determined that during Calendar Year 2008, taxpayers with stand-alone 6020(b) assessments (assessments made in which the taxpayers had potential delinquent returns due but no outstanding tax liabilities) were less compliant in subsequent years than taxpayers without 6020(b) assessments. However, a more in-depth study of delinquent returns in which the for the Small Business/Self-Employed Division. use of I.R.C. § 6020(b) authority was considered but not used may be needed to better understand these results. The IRS does not track subsequent filing compliance when The IRS has the ability to prepare returns and I.R.C. § 6020(b) authority is used. Forget To File Your Taxes?